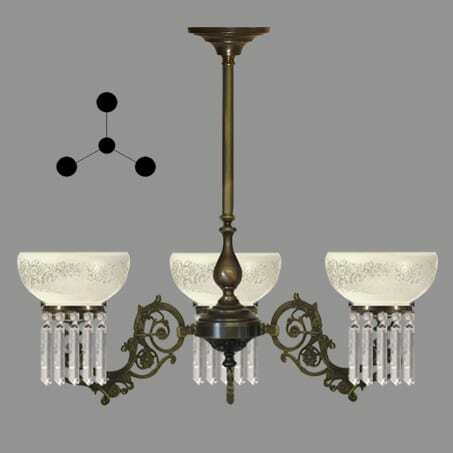 Lighting Pendant Victorian 3 arm etched glass. Manufactured and designed in our Manchester Design studio and workshop. Complete suite available. Please ask. Available with Chain suspension if required.